La salida a bolsa de Facebook: ¿quién se ha hecho rico? ¿Cómo se crea la riqueza? ¿Lo comprendemos bien? 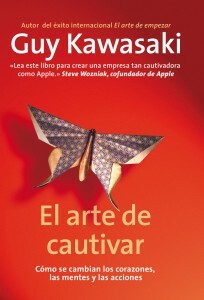 Guy Kawasaki is the author of eleven books including What the Plus!, Reality Check, The Art of the Start, Rules for Revolutionaries, How to Drive Your Competition Crazy, Selling the Dream, and The Macintosh Way. He is also the co-founder of Alltop.com, an “online magazine rack” of popular topics on the web, and a founding partner at Garage Technology Ventures. Previously, he was the chief evangelist of Apple. Kawasaki has a BA from Stanford University and an MBA from UCLA as well as an honorary doctorate from Babson College. :: Imagine a young, unexperienced entrepreneur with an (apparently) good idea, technical abilities and a good amount of energy. Which first steps should she take in order to avoid inmediate failure? 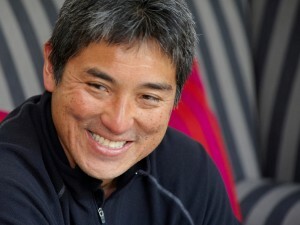 Guy Kawasaki: The first step for an entrepreneur is to start prototyping the product or service. The first step is not to write a business plan, create a pitch, or build a financial model. If you build a good enough prototype and ship it, you may never need to, or have time to, do any “planning.” :: You are also an investor and you have direct contact with entrepreneurs –enthusiastic persons who tend to think they have discovered “the new wheel”. Which points are most important for you when you hear or analyze new ideas? Is the business plan important? The most important part for me is to see the prototype. I don’t care about the plan at all. I know it’s pure fiction. A prototype is worth a thousand words. :: The Economist has started a really interesting discussion about firm size: “The Big can, the small do”. It seems difficult to grow without losing some key competitive advantages. What does it take to remain, in innovation, “forever young”? This is one of the great challenges–Apple is a remarkable example of a company that has remained young, and this is because of the awesomeness of Steve Jobs. My recommendation is to always remember why customers do business with you–what benefit do they derive. For example, an ice factory in the 1930s provided the same benefits as a refrigerator company in the 1950s: convenience and cleanliness. The ice factory wasn’t in the business of freezing water centrally. It was in the business of convenience and cleanliness, so it should have embraced the refrigerator curve. But few, if any, did because they thought of themselves as centralize ice factories. The other thing to remember is that there are always two guys/gals in a garage somewhere plotting your demise. You need to stay ahead of them, or they will kill you, :: Which is the role of design in “The Art of Changing Hearts, Minds, and Actions”? Does design have the importance it deserves in the modern firm? For some companies in some industries, design is everything. That’s why Apple is the most valuable company in the world. In other industries and for other companies, it’s less important, but the innovator in me always believes that design should count. Mediocre design is just a waste of talent. :: In his latest book, Gary Hamel tries to answer a controversial question: why is business language so sterile, uninspiring and riddled with banalities? What do you think about it? Maybe he studied the wrong companies. Or, maybe as companies grow larger, they bring in “professional managers” with MBAs who kill the passion. :: Is communication the same as marketing? How can you connect with your clients without spending millions of dollars in advertising? All communication creates marketing impressions, and all marketing should communicate something meaningful. We’re in a golden age of marketing/communication because of Google+, Twitter, and Facebook. These services are fast, free, and ubiquitous. It can’t get much better than this. :: Think about someone who wants to make a progress in his career. Can you please complete these sentences? I should always keep studying… whatever excites you. I must go to events that… broaden my perspectives. I must read authors who… challenge the status quo. I must use Internet to … broaden my perspectives. :: In Spain, we have a cultural problem of risk aversion. We fear failure above all. What does Spain need to do to build an entrepreneurship ecosystem and to fight that cultural fear? You should support the engineering schools that rivals Stanford’s. Engineers have clever ideas that create companies. Everything else flows from these ideas. If Israel with 5 million people and lots of sand can do it, Spain can do it. 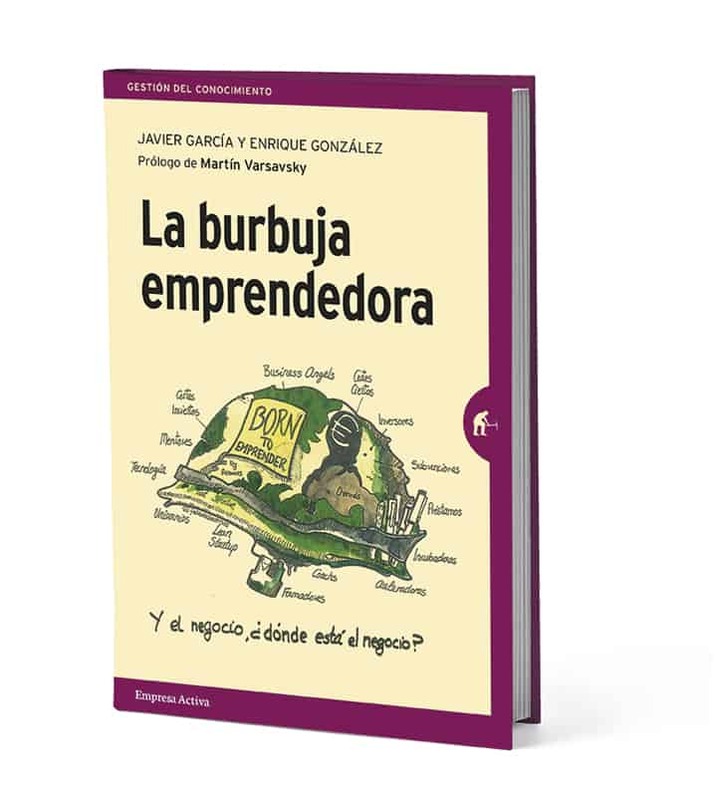 :: At the same time, in Spain we are speaking more and more about entrepreneurship. In fact, it now seems like an “entrepreneur bubble”, it seems to be the solution for every problem. Everything seems so easy! Which part of the story is not being told here? One part of the story is that Silicon Valley wasn’t planned. It was organic: Stanford led to HP, National Semiconductor, etc that led to Apple that led to Google and Yahoo, etc. This process started in the 1930s. It’s not because some politicians got together and decided that Silicon Valley would be successful. :: To finish, let’s get a bit personal. You say that one of the three things you want people to remember about you is that you empowered entrepreneurs to change the world? Why is it so important for you? Because, at the end of one’s life, everyone is about $.85 worth of chemicals. The legacy you leave is not how much money you accumulated but how much you made the world better. I hope that my mechanism for making the world better is to empower entrepreneurs. By the way, even more important to me is that my kids are good people. In a sense, every child is a “startup.” Thank you very much for your time, Mr. Kawasaki!